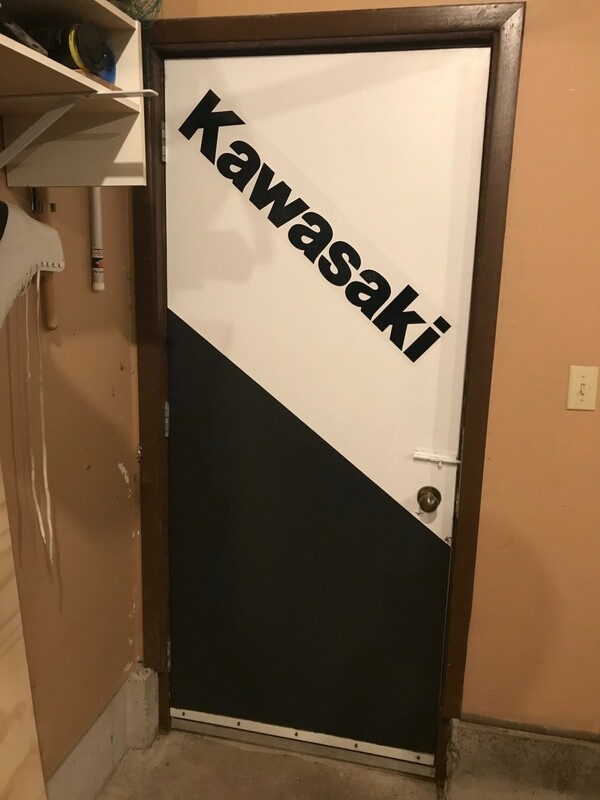 As a side note, check out my new paint job on the garage door today as I ready home for the new bike. Gives me something to do while i wait for delivery and stare out the window at 5 feet of snow. Although, it looks like your garage door will be a very tight squeeze to get the V1K through! Thanks. I have my bike on a Constand dolly where I wheel it against the wall and door for winter storage. I've dubbed that part of the garage the "Kawi Corner"